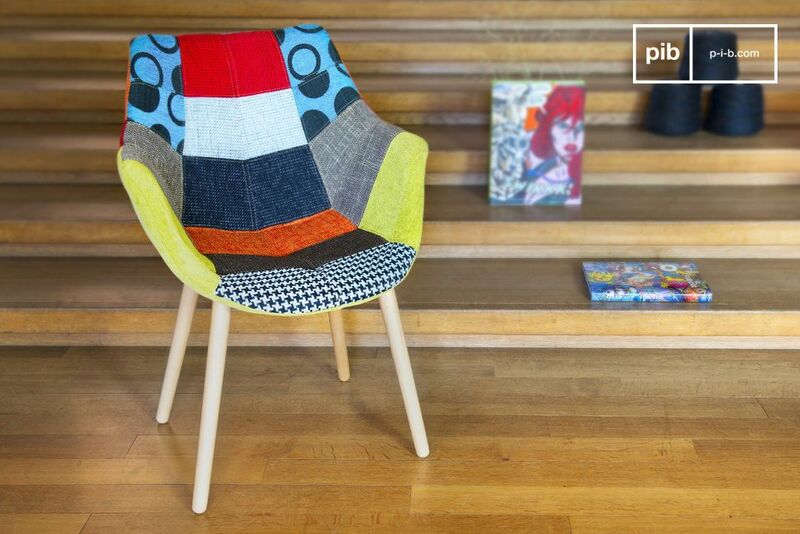 The Patchwork chair displays chic and originality. 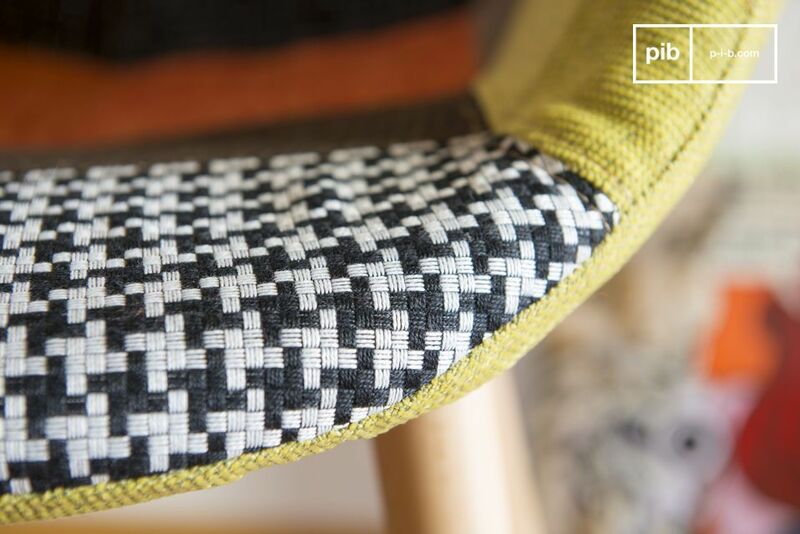 Its removable cover combines several types of fabric, some patterned, and others mixed for a top result in colour. 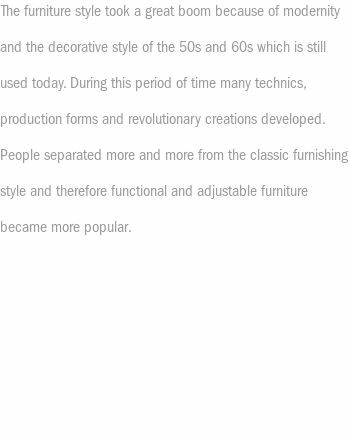 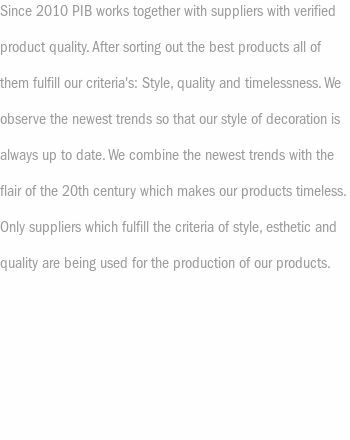 Between the armrests, you will appreciate its general comfort, particularly from the dense foam in the upholstered seat that gives the vintage chair excellent comfort. 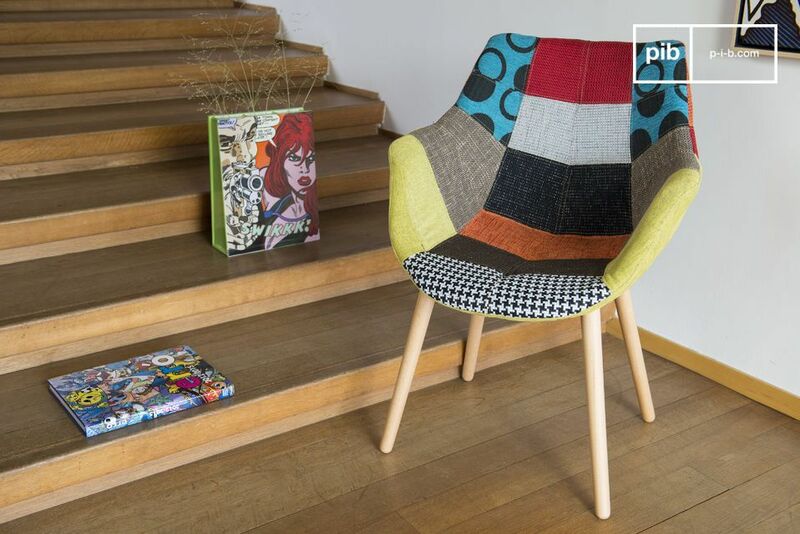 It is an ideal chair to be placed at a table or a desk, perhaps in a loft atmosphere, surrounded by furniture with contemporary design. 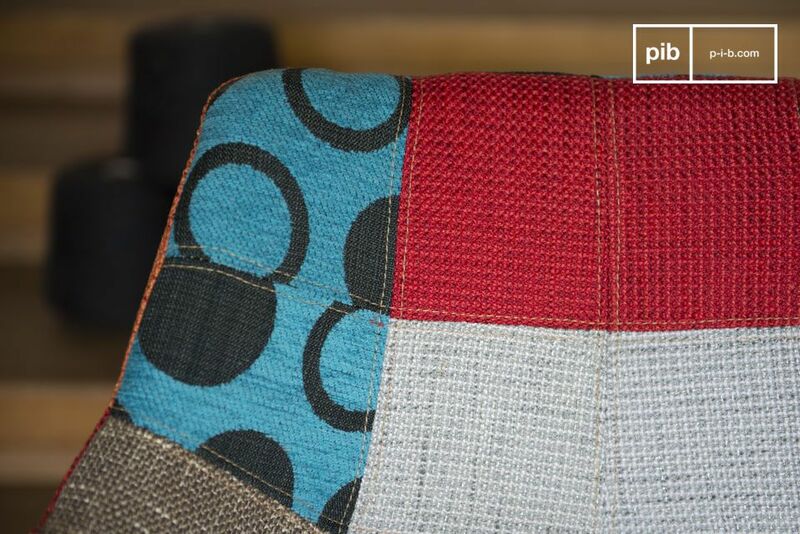 The fabric used to make up the patchwork may vary slightly from chair to chair.